Peter Mackay is an Honors graduate of the University of Toronto and the Canadian Memorial Chiropractic College. 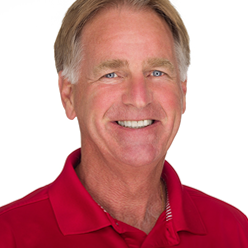 Dr. Mackay is a former consultant to the Toronto Blue Jays and director of therapy for the Canadian Open and Canadian PGA Tour. He has co –designed numerous products including the “Therapeutica Pillow” and the “Core Grip”. Peter brings a unique combination of expertise in golf biomechanics and injury prevention to his role on the Titleist Performance Institute Advisory Board . He is presently in private practice in San Diego, CA and works with athletes from multiple sports focusing on an integrated team approach for longevity and peak performance.